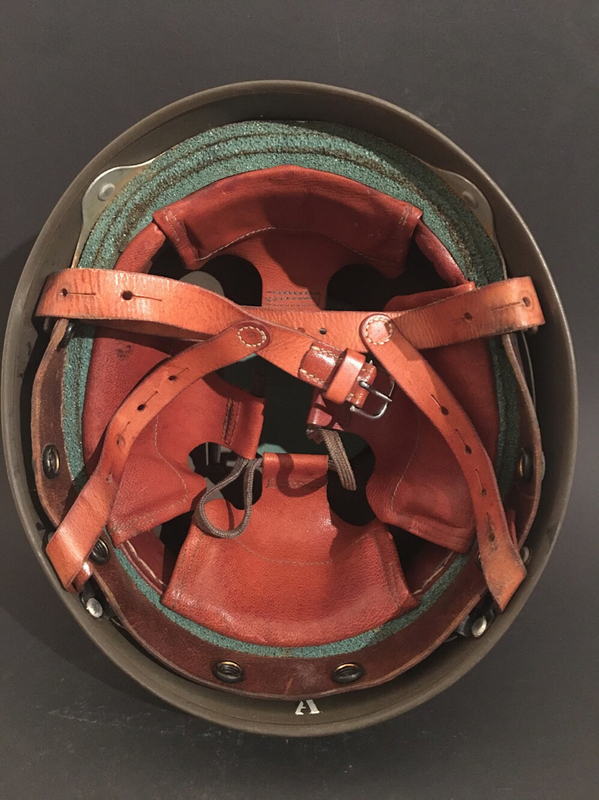 Following my last Thread i will show the later Swiss made Helmet M1948/62 with different liner, chinstrap and color (after 1970 in green color)...you can easy see the difference between the types. I do hope someone can help me here (Andy? Gene?). 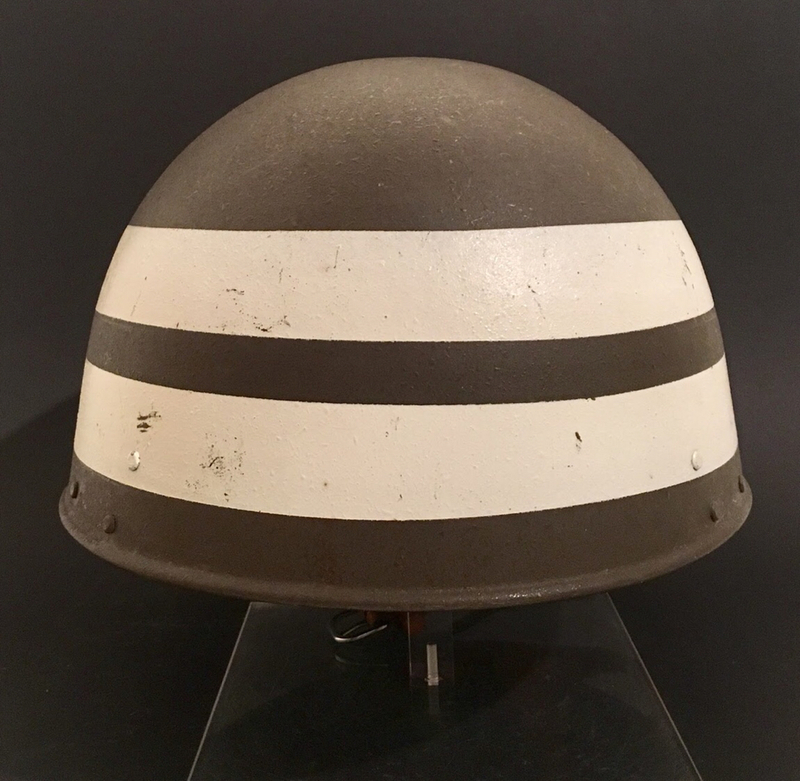 I am an enthusiast of Swiss helmets generally, and the M48/62 type in particular, even though I find them very difficult to get. I am specifically confused by the real change between the 'M48' and the 'M62' (or even 'M48/62') designations. 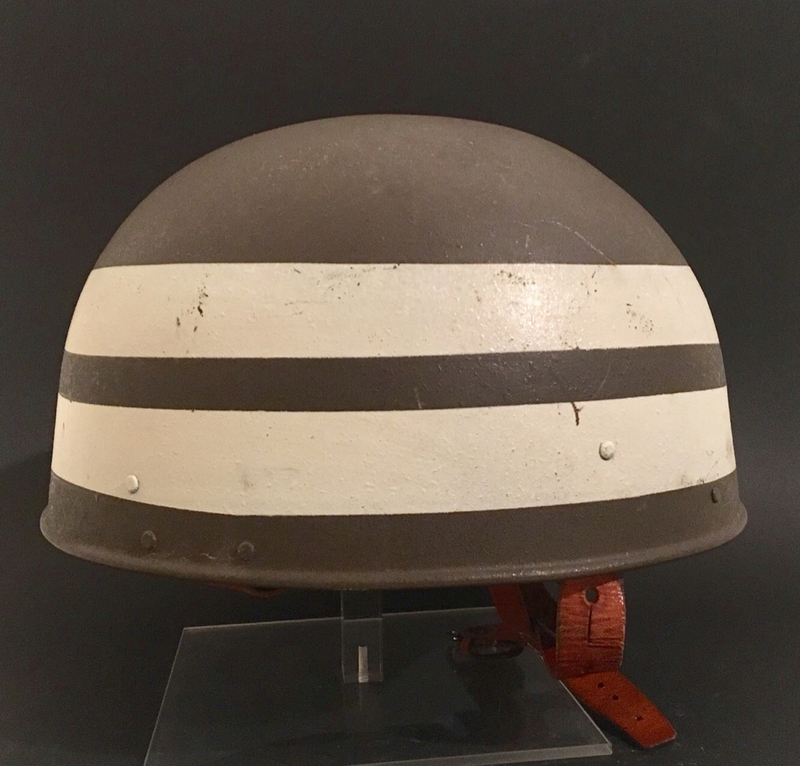 It is obvious that there are Swiss helmets which have shells and liners that we might think of as the M62 well before 1962; amongst my nine M48/54/62 examples I have two black-painted helmets (Swiss made, not UK refurbishments), with the full four-lobe liner and straps dated 1957. And clearly the 1954 model with the M18 type liner and strap existed before that. So it is obvious that the Swiss were making liners and shells before 1962. So why the M62 designation? "This 'M62' is really a bit opaque and confused. OK. we know that there were shells with 'M62' characteristics (rolled rim etc) being produced before 1962. That's beyond question. It's also obvious that what we think of as the 'M62' liner and strap - four lobe liner, neckshield popstuds, A-type straps etc - was in use before 1962 in various forms. It isn't even possible to say that a combo of the two is an 'M62' IF we are expecting to '62' part to be a year. I think all that's clear but this being this I might have made a mistake already. 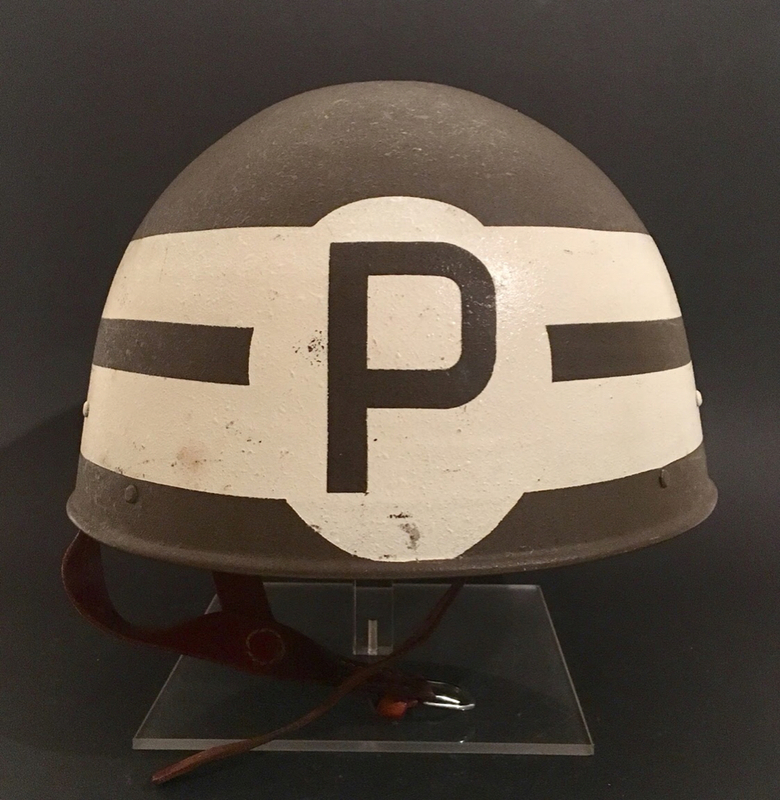 In Casques de Combat we have a character name of Frederic Pellaton who does NOT refer to a M62 at all, simply saying (after the usual stuff about ithe imported helmets) that a new improved version was later made. I'm not sure M. Pellaton actually knew what he was on about with this model, any version of it, but it is significant that the appellation 'M62' does not appear. ELMETTI - Here we have Paolo, after referring to the imported British helmets, saying "The derivation of the new M48-62 Swiss Schutzhelm from this model is obvious" Right then, we're in 'M62' world here. He goes on to say, slightly confusingly, "Improved models made with better material were made in Switzerland between 1957 and 1962." which is fair enough, but that implies a cut-off date. Is it right that none were made after 1962? That can't be right as the WWH site seems to make it clear that there is PRE and POST 1971 production. Let's see where JP Soulier puts us; here, in the introduction to his book he says of the ex-British purchase "These were used as originally manufactured or with slight modifications...This latter model...was called Ordinance Model 48". Which seems to be understating the case a bit in terms of modifications. Then we have "At the time of its manufacture and modification in Switzerland the helmet was called Ordinance Model 48/62 (M48-62)." Now, given the fact that JP immediately follows this by saying the M71 helmet was introduced in 1975, I am prepared to accept wholeheartedly that none of the Swiss model numbers has anything to do with a date of introduction at all. Which isn't at all unusual really except for the fact that we - some of we anyway - have allowed ourselves to be hypnotised into believing it *does*, in this Swiss case. Good grief. But wait, there's more - in the body of the book JP says "Swiss model, M48/62, with rolled edge, made after 1962". And if the interior is that of the shell illustrated, it is a pre-1956 model according to WWH. Eeek." As you can see the printed sources only add to my confusion. So anything any of you proper collectors can tell me is going to be good. And one last thing - does anyone have a clue to how many true swiss 'M62' shells were produced, over what period, and when (if) they fell out of service. well, it is indeed difficult to get somet good informations about the (sturz)helmet 48/62 in experience. For me, WWH is definitely the TOP page for the information. I do not know any better literature or website in this matter. Well then, I'll try my knowledge announce: the 13'000 English WW2 DR or RAC models, which were taken from war stocks in 1948 , have been partially left with the original GB lining or supplemented with M1918 standard lining (see also WWH) I have in my collection a 1948 ex-RAC with GB lining and M18 chin strap. I also have an ex-DR of the military police with M18 lining and chin strap. Unfortunately, this lining has no readable date stamp, so I can not say more. 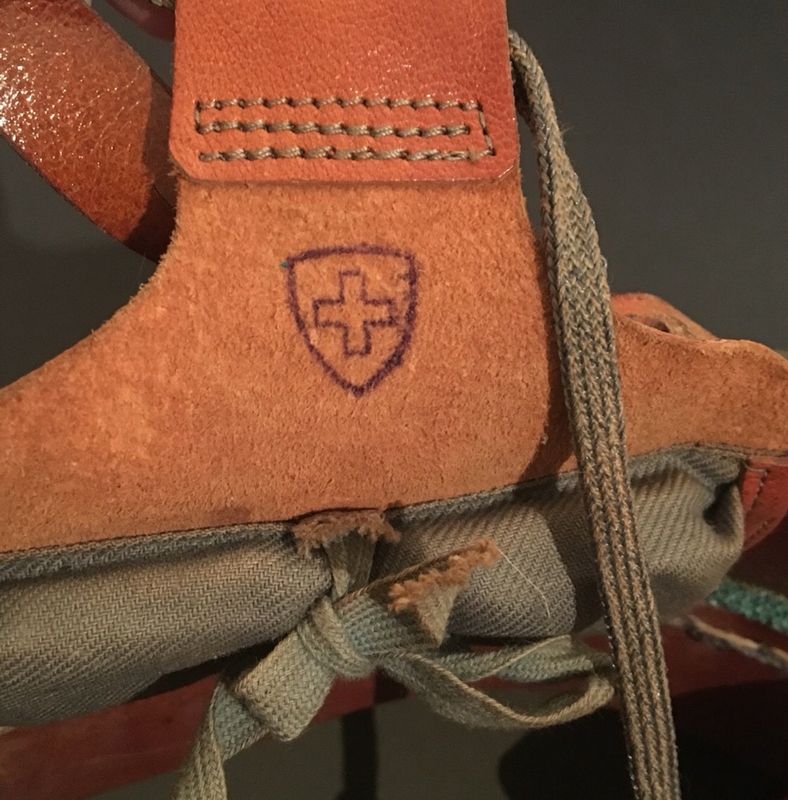 From 1954 onwards, helmets made in Switzerland were produced with the aforementioned flanged edge. These can be found with M18 inner linings and chin straps. I had such a model with 1954 stamped M18 lining and chinstrap; i remember the helmet wore the serial number 18xx, unfortunatly I have trade this piece some time ago with another collector and i have no more pictures. 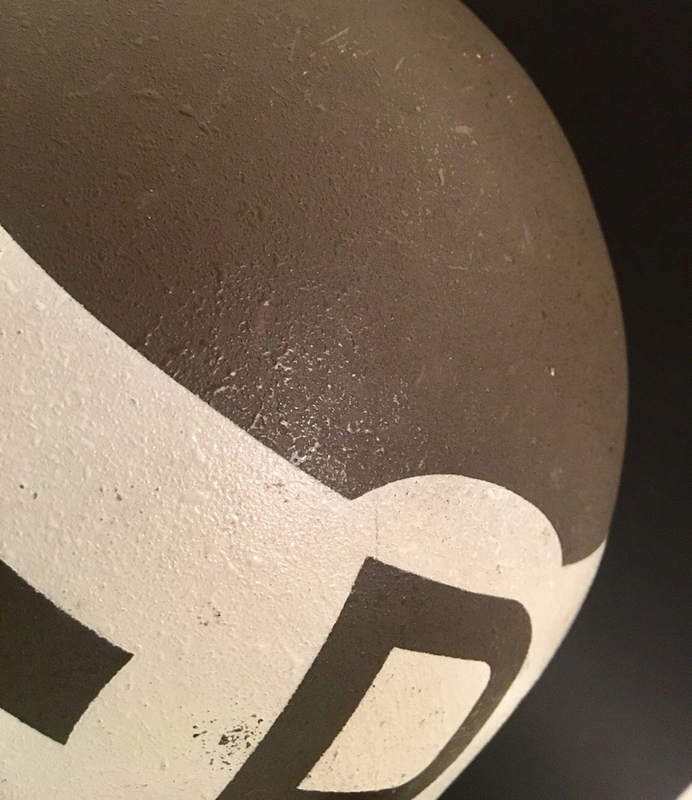 However, the helmet already had the slightly different shape of 1956, meaning that apparently also from 1956 M18 inner lining from the year 1954 were installed. Sure, until 1957/58 M18 feed was installed in the helmets, before then the 4-liner with A-strps were installed. These helmets, especially the pieces that have been changed to green since 1971, are still often found here in Switzerland. These green models were probably produced here until the end of the 70s (my guess). I started my military service in 1983 and at that time our motorcyclists were equipped with the helmet model 1971 and they also got a kind of civilian closed white plastic shell helmet for driving (i think for security reasons) at that time the light troops (armored personnel carriers) did not have a crash helmet 1948/62 anymore. knowly the helmet shells are not stamped in the Swiss helmets with year numbers and serial numbers only in the M1918 to the 40s years, a dating is so difficult, you can only focus on the stamped liner (if readable). 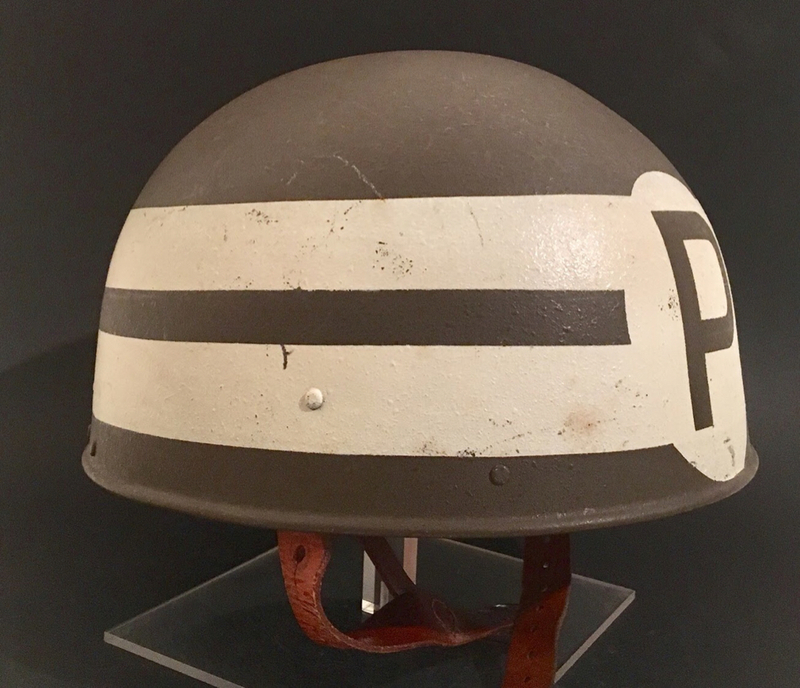 I've never heard here of a list of serial numbers with years (like the German or US helmets WW2) I do not know how many such M1948 / 62 helmets were ever made. Of course, significantly less than the M1918 models, since they were spent only for about 2-3 decades for light troops and motorcyclists. I feel sure I will be back with another question eventually. And if I find the money I will be a paid-up member able to post pictures. It's very encouraging to be in contact with people who like Swiss helmets - and who actually know stuff about them! I have a question. I recently got another M48/62. There is nothing unusual about it - Swiss shell, Swiss liner, all the usual markings - except that is has a plain, smooth, medium green finish (no textured finish at all) quite unlike all my other examples. It looks a lighter green that a textured shell but that might be simply because of the lack of texturing. Now, I think that this seems very similar to the paint on M18 helmets issued to the civil police, although it is a somewhat darker shade to my known police M18. I've checked all the usual places and even the super-detailed WWH page does not refer to this helmet being used by the civil police. It is obviously a factory-finish rather than a repaint, so police, or simply one that missed the texturing process? I think I have found the answer to my own question; despite not showing an illustraion of one, the WWH team clearly say (translated) "...it is possible to find examples with smooth paint, repainted after having been stripped." OK, so no obvious civil police connection. Something else I noticed is that I have looking at my nine examples eight have round headed rivets for the interior and one has flat head rivets. Was there more than one manufacturer involved, or is this simply down to whatever rivet was available at the time?